There are many, myself included, who consider Duvall the most purely gifted actor in American cinema. He’s always lacked the leading looks to harness the roles often awarded to other players. Instead he has toiled quietly yet effectively as a character actor, often playing second fiddle to bigger stars and stealing the film more often than not. Even his quiet work in “The Godfather” and “The Godfather Part II” threatened to overshadow the leads, and look how the pathetic third film suffered without his presence? His performance in the modest “Tomorrow” is simply superb, while his supporting turns in “Network” and “The 7% Solution” were both critically acclaimed. 1978’s “Apocalypse Now” never quite recovers from his sequence, when he says with a smile of regret, “Someday this war’s gonna end,” and strides off screen. We understand in that moment the madness of Vietnam. His performance in the film might just be the greatest supporting performance in film history and was robbed of the Academy Award that ultimately went to Melvyn Douglas in “Being There,” the year’s sentimental choice. I would say his performance as a ferocious preacher in “The Apostle” is easily among the five best performances of all time. Though the actor took home the Los Angeles Film Critics Association and National Society of Film Critics awards for Best Actor, the Oscar went to Jack Nicholson in “As Good As It Gets,” a fine performance but hardly one for the ages. 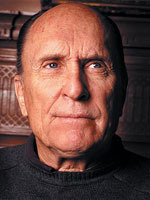 In the years since his last brush with Oscar (1998’s “A Civil Action”), Duvall has been seen in a variety of films, both leading and supporting roles, some succesful (such as his work on “Broken Trail,” which won him an Emmy), some not (like his work in the sci-fi dud “The Sixth Day”). But his name being attached to a film brings some excitement, the sense that there is potentially something very special about the picture. You can bet that many actors have signed on to projects because Robert Duvall was on board. And of course, Duvall and Kevin Costner were tremendous together in “Open Range” in 2003, a fine western in which Duvall gave one of his best performances as a tough old rancher who will not be trifled with. He seemed to bring out the best in Costner, who was very effective as a gunslinger haunted by his past. Costner himself has said that Duvall takes everything up a notch, causing other actors to be on their toes at all times. Known to be brutal with directors who tried to tell him how to do a role, Duvall truly liked Costner and his style. I was fortunate enough to meet Duvall during his run of success with “The Apostle” and spent some time on set with him while he was making “John Q.” It was a treat to see him work. The air was electric the moment he came on set, and when Nick Cassavettes called “action,” the air seemed hotter. Sure the film was nothing special, but Duvall is real, authentic in every scene he is in, and to me that is great acting: that endless, never ceasing search for what is truth and what is real. I know there are those who would say Robert Duvall has had his fair share of awards success, but I would say he has been ignored far too often. And when a truly great performance is ignored, doesn’t that effect us all? Go back through Duvall’s filmography and see why he’s the greatest film actor the screen has known. I agree. While I do not personally believe he is America’s greatest living actor (De Niro? Pacino? Nicholson? Day-Lewis?) he is certainly one of America’s greatest living actors. That madness he displays in Apocalypse Now seems to transcend anything political, giving you to guess at the psychological complexity. His performance there was so mad and yet so orderly and almost controlled, an extremely difficult feat. I know some lambast (or at the very least publically express disdain) him for his conservative political views, but politics has nothing to do with acting. Bravo, Mr. Foote, bravo. Comparing the strengths of various beloved actors seems like a useless endeavor — it’s so subjective — but Robert Duvall does come across as a bit more natural than the others. He’s a wonderful actor, but just like De Niro or Pacino, his record is hardly blemish-free. His performance in the dire The Scarlet Letter is surely one of the hammiest ever committed to film. I loved him in Wrestling Ernest Hemingway – a film that, sadly, nobody seems to remember. His performance in “Tender Mercies” is one of my all-time favourites. I absolutely adore that film. Not quite fair in Pacino’s case, John… I thought The Insider, Insomnia, The Merchant of Venice and particularly Angels in America (even if it was for TV) were worthwhile additions to his CV. I agree wholeheartedly on De Niro, though – all the more sad as I think he’s the most gifted of all. But you know Guy… Insomnia, can see him acting…Merchant, same, and Angels in America, same thing — agree to a point on The Insider — consider his work alongside Jeffrey Wright in Angels and maybe you get where I am coming from — never caught Wright acting, but you did old Al…I am not saying he’s a hack…he’s not…anyone that gave the performances he did in the seventies and eighties could never be such…but his good work is few and far between these days…I mean really, 88 Minutes?? And De Niro I gave up on long ago though I concur that he is the most gifted of them all…and obviously the laziest. Chalk me up as another one who loves Robert Duvall’s performances. I also like the way the people who act with him are at the top of their game when they’re with him. He’s wonderfully gifted, absolutely. I was sad when he lost for The Apostle (well okay, mad too). The most gifted film actor ever? I don’t know, I haven’t seen them all. I keep being dazzled by performances I haven’t seen before. When I see Buster Keaton or Charlie Chaplin, I think film technique has really narrowed down considerably from their genius. When I saw Paul Muni for the first time, I thought, who is THAT guy? oh, that’s him, no wonder they loved him. When I see Lillian Gish, I don’t think anyone can ever top her for primal film presence. And then there’s wonderful decades after that, and more to come this century. I like to think that there’s lots of geniuses. How I’d love to see Robert Duvall acting with them all. What pure pleasure that would be. What a great concept…Duvall with Chaplin and Gish…can you imagine? This article reminds me how little I have seen of Mr. Duvall. That will change.